Most headphones are designed for individuals with full hearing capabilities, so they may lack the features the hard of hearing need to ensure clear hearing. A great set of headphones for hard of hearing individuals, the Humantechnik LH-056 Headphones for the Hard of Hearing have a range of features designed to make listening easier for those with hearing impairment. The volume of the LH-056 headphones can be adjusted on a per-ear basis. This is ideal if you only have hearing issues in one ear and not another – you can have the perfect volume for one ear without it being too loud in the other. 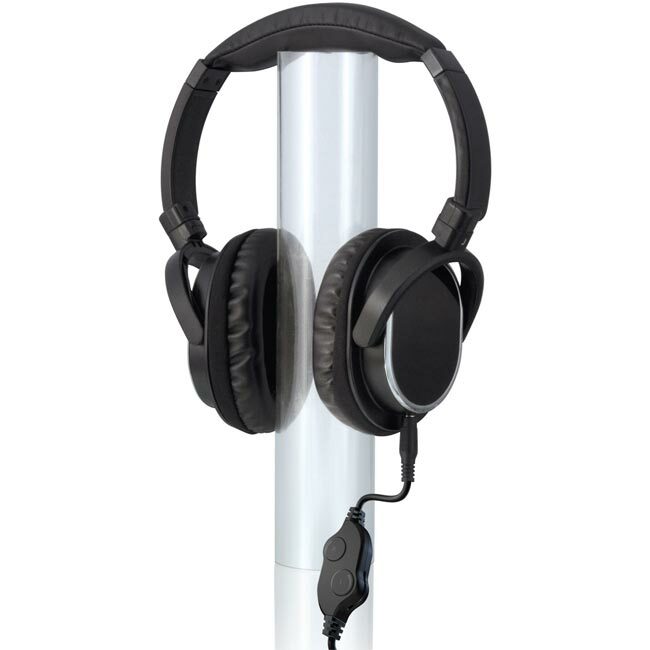 The LH-056 headphones include a 5 metre lead, enabling it to easily be used with a TV set which is across the room. It also includes an additional 1 metre lead for connecting the headphones to closer audio devices without having a lot of loose wire. Because it uses a universal 3.5mm jack, the LH-056 Headphones are compatible with most audio products, including Hi-Fis, MP3 players, CD players and more. There's even a 3.5mm to 6.3mm adapter included to make it compatible with even more audio devices.